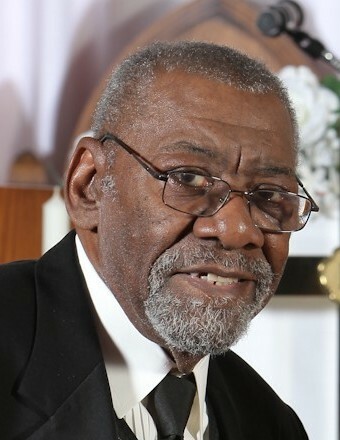 Henry “Leroy” Johnson, aged 80, passed away Saturday, September, 8, 2018. He was preceded in death by daughter Carolyn Guyton, son, Ronald Johnson; daughter Toni Belcher; and brother Odis. He is survived by his loving wife, Doris; six daughters Anita Beckley, Deborah Jarrett (Cedrix), Robin Hughes, Marsha Johnson, Deana Love, Jamie Shine; six sons Greg Beckley (Danielle), Isaazell Guyton, Dennis Mondine, Eric Mondine, Henry Carter, Sherman Gillespie; a host of grandchildren, great grandchildren and great-great grandchildren; several nieces, nephews and cousins. Henry was a long time employee of GM, Burlingame Plant and a life time member of Club Cruisers. A Memorial Service will be held Saturday, September 15, 2018 at 11:00 am at 1st Community AME Church, 500 James Ave. SE, GR, MI.